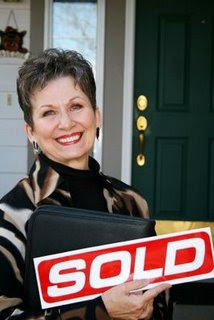 All About Real Estate Auctions: Do you hold open houses to sell land? I was recently coaching a RE/MAX agent who was using our online bidding system to market a 4 acre piece of land in the St. Louis area (St. Charles). Most of our customers are selling homes so it was a little different but not unique. When selling a home I teach that you need to schedule at least 2 open house "previews". By having an open house "preview", you get all the interested buyers in at the same time which creates competition, nothing new there. So, this RE/MAX agent decided he would try an open house for his land. Honestly, I thought it was a waste of time, but I was also curious so I didn't try to talk him out of it. The second thing he decided, was that he would do it on a Wednesday from 11am - 1 pm. I also didn't think that was ideal, but I still didn't try to talk him out of it. The results... 5 interested buyers came out during that Wednesday to walk the property with him and ask questions. This a property that had been in the MLS for 8 months with very little interest. And 5 may not seem like a lot, but he and I both thought it was amazing to get that type of response under the circumstances. Once again I learned something, which I do every time I help someone use the online bidding process. And the final results... It received 16 bids with the high bid being $105,000 and it actually just closed escrow last week.